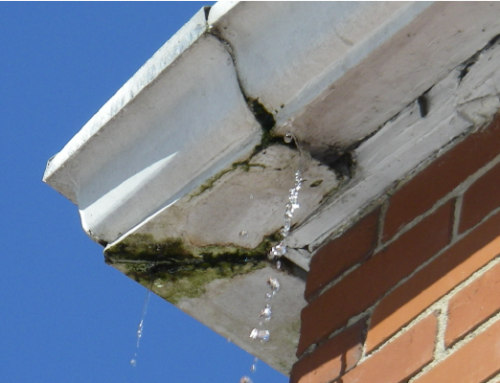 Home/Help & Advice/Are your cast iron gutters and downpipes safe? Cast Iron gutters and downpipes have been used on properties in the UK since Victorian times, and many of those original installations are still in place now, proving it’s strength and resilience for many years after installation. Cast Iron is very expensive to buy and to install which is why most people gravitate to the cheaper more functional alternative, plastic uPVC guttering. 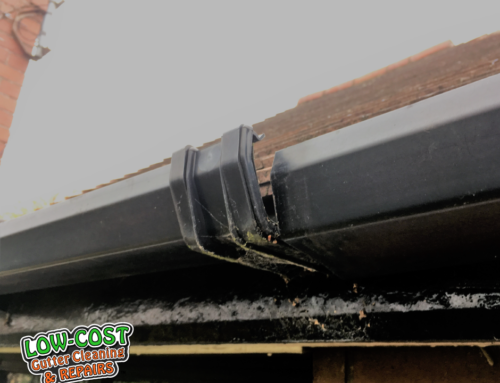 The fact that Victorian gutter installations can still be seen regularly in the UK serves as proof that this material is very long lasting, however, it is now very common to see the original cast iron installations failing. 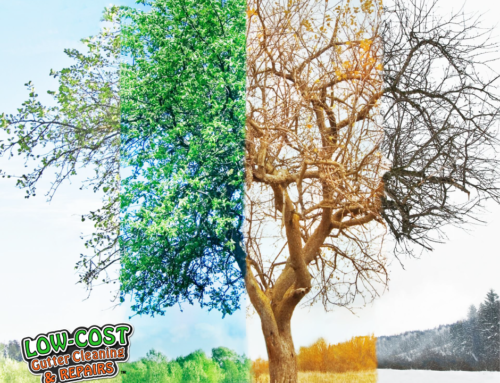 Unmaintained and untreated cast iron installations will have been rotting for years, with the brackets and supports becoming frail and brittle, and the downpipes becoming free from the walls they where they once held strong. Cast iron gutters are extremely heavy and could cause serious damage, harm and even death if they fall. If your property still has Cast Iron gutters and downpipes, It is important that they are checked by a professional to ensure they are still safe and in good working order. 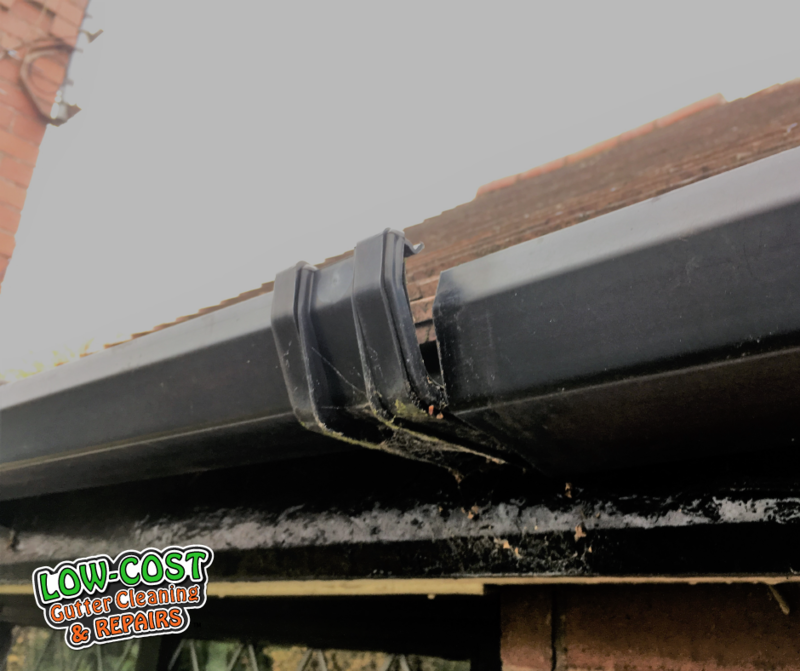 Cast Iron gutters are usually produced in smaller sections than modern plastic guttering, meaning it has more connecting joints and more opertunities to leak! The sections are bolted together with a sealing compound sandwiched between. 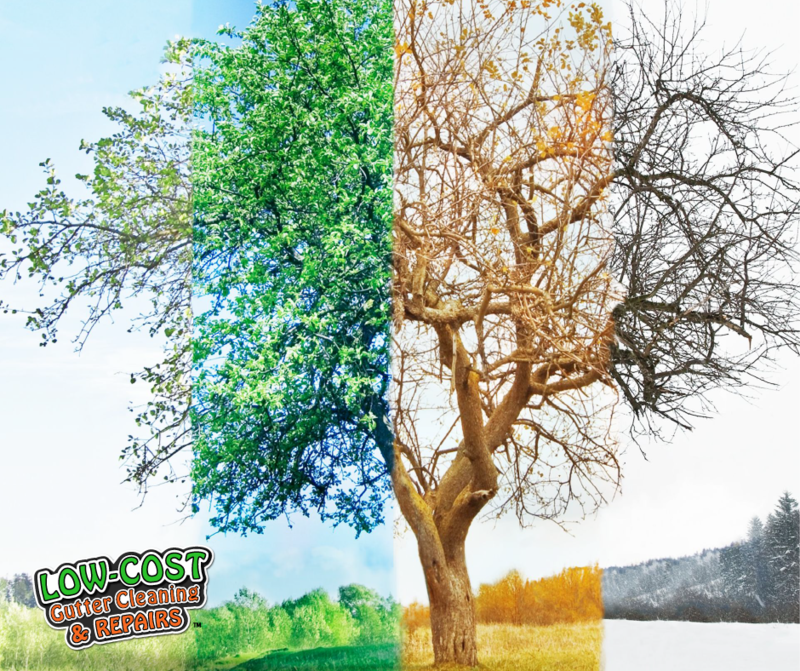 It is possible to repair leaking cast iron gutters, but replacing sections can be tricky as there are many different shapes, sizes, and thicknesses of cast iron gutters, many of which are not readily available. 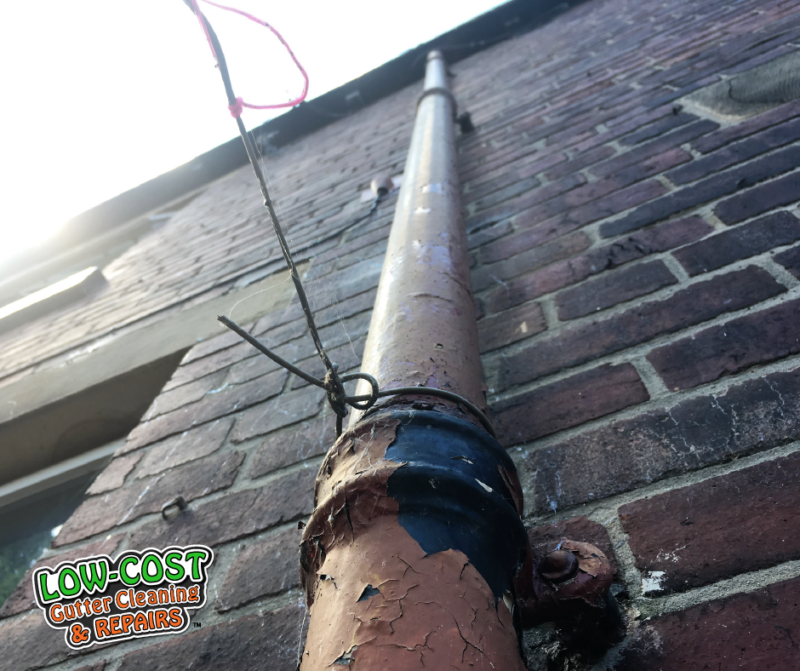 Well maintained cast iron gutters and downpipes will last for many more years, so be sure to clean them out regularly and fix leaks quickly, before they cause unrepairable damage. If you have Cast Iron gutters and downpipes and would like one of our experts to inspect them for free, Contact Us and we would be happy to help.